Mysuru: The Dasara Aahara Mela-2017 (food festival) from Sept. 21 to 30 at Scouts and Guides Grounds and at MUDA Ground near Lalitha Mahal Palace Hotel is expected to thrill food enthusiasts as the event promises a variety of exciting and lip-smacking food from different parts of the State and country including the traditional tribal food. For foodies, it’s a great chance to get on a delectable journey, discovering and relishing an assortment of Indian and continental culinary. With chefs from across the State putting up a sale of variety of foods with rich aromas to elusive and simple flavours, the fair is a great place for all those who visit the venue, to stimulate their taste buds for a memorable experience. Like most events organised as part of Dasara, the Aahara Mela too has turned out to be a successful one, attracting a huge crowd. This year, the Department of Food and Civil Supplies has decided to conduct a “Nalapaaka” competition to adjudge the best cook. The competition will be organised everyday from Sept. 22 to 28 from 12 noon to 2 pm. Those who wish to participate must apply to the Aahara Mela Section, Office of Deputy Director, Food and Civil Supplies, DC’s Office by Sept. 15. Participants must bring their own utensils. Tables and necessary furniture, gas stove and cooking gas will be supplied by the Department. 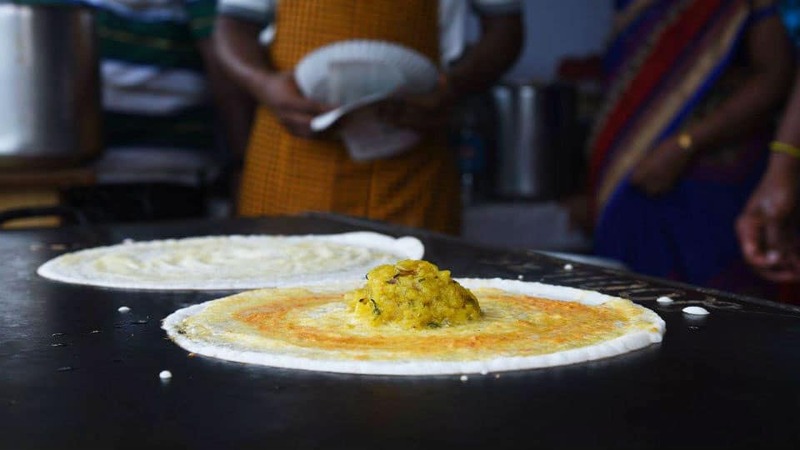 On Sept. 22, under mother-in-law, daughter-in-law section, there will be a competition to make akki rotti and Badanekai palya/ chutney. On Sept. 23, under husband and wife category, ragi mudde, uppusaaru competition; on Sept. 24, under youth (men) category (maximum 4 youth), vegetable pulav competition; on Sept. 25, under youth (women) category (maximum 4 women), bisibelebath making contest will be conducted. On Sept. 26, under senior citizens’ category, (both men and women where a maximum of 4 can participate), competition to prepare dishes out of millets (siri dhanya) will be held. On Sept. 27, for Sthree Shakti Groups, dal holige and holige saaru competition will be conducted. On Sept. 28, a competition will be organised for hotel caterers and family caterers where ragi mudde, naati koli saaru will have to be prepared. All the competitions will be held at both the venues (Scouts and Guides Grounds and at MUDA Ground) and there will be first, second and third prizes. For more information, contact Kalanayaka on Mob: 9886683298 or Vasantha Kumari on Mob: 9902634878. Applications have been invited from interested parties to set up stalls at Dasara Aahara Mela at Scouts and Guides Grounds and at MUDA Ground. This time, stalls will be set up to cater to a wide variety of audience and they will include tribal cuisine, village and rural food, millet dishes, organic food, regional and continental cuisines. Among other varieties planned during the gala event are Punjabi style, North Indian, Gujarati, Chettinadu and Kerala style dishes. There will be exclusive stalls that will sell Mysuru, Kodagu, North Karnataka, coastal Karnataka, Malenadu and Mandya style food. This apart, bakery items, continental food, sweet meat, condiments, cool drinks, fruit-based dishes will be sold. Applications can be obtained from Aahara Mela section, Office of Deputy Director, Food and Civil Supplies, DC’s Office by paying cash or a Demand Draft of Rs. 100. Those who have experience in running catering business, housewives, and hoteliers can set up stalls. They should submit necessary documents to prove their credentials in food business and they should have been registered by District Food Safety Officer to comply with the provisions of Food Security and Quality Act. Filled-in applications have to be sent by Sept. 8. Ice cream and water supply vendors cannot apply to set up stalls, a press release from the Deputy Director of Food and Civil Supplies stated. For details, contact Food and Civil Supplies Deputy Director Dr. K. Rameshwarappa on Ph: 0821-2422107 or Mob:96111-65367 or Assistant Director H.K. Ramu on Mob: 94480-51793.